CopperStill Kennel offers all-breed boarding and a variety of training packages, tailored to meet the needs of you and your dog. We are dedicated to providing quality, personalized care for your canine companion while you are away. 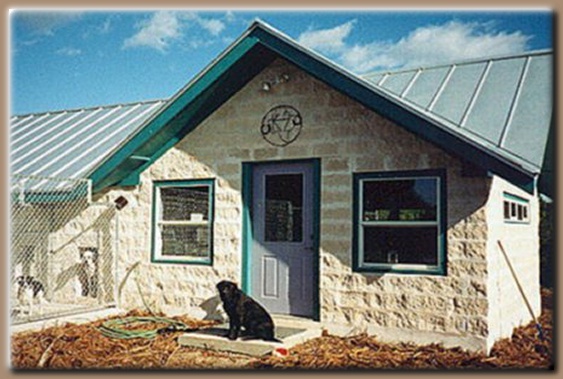 We are located approximately 1 hour Northwest of Austin on 72 acres in the beautiful Texas Hill Country. From Hwy 183, IH 35 or Parmer Lane, go West on RR 1431 to Singleton Bend Road (6 miles West of Lago Vista). Turn left (South) on Singleton Bend Rd for 2.5 miles. Take left fork (Singleton Bend East Rd.) for 1.5 miles, turn left on Travis Peak Trail (black top then gravel/dirt road) at the Flat Creek Estate Vineyard sign. CopperStill Kennel will be on the right approximately 200 yards past the Winery entrance. There is a blue sign "CopperStill" attached to the fence by the gate. From Marble Falls, head East on RR 1431 approximately 21 miles. Turn right (South) on Singleton Bend Rd. Follow directions above from this point. I have cancelled the old landline!